This policy is issued by St Mary’s School, Gerrards Cross (Company Registration No:389663, Registered Charity No: 310634). the School’s IT policies, including its Acceptable Use policies, eSafety policy and Bring Your Own Device (BYOD) policy. Anyone who works for, or acts on behalf of, the School (including staff, volunteers, governors and service providers) should also be aware of and comply with this Privacy Notice, the School’s Privacy Notice for Staff and Governors and the School’s Data Protection policy, which also provide further information about how personal data about those individuals will be used. images of pupils (and occasionally other individuals) engaging in School activities, and images captured by the School’s CCTV system (in accordance with the School’s policy on taking and storing of images. Staff, pupils and parents are reminded that the School is under duties imposed by law and statutory guidance (including “Keeping Children Safe in Education”) to record or report incidents and concerns that arise or are reported to it, in some cases regardless of whether they are proven, if they meet a certain threshold of seriousness in their nature or regularity. This is likely to include file notes on personnel or safeguarding files, and in some cases referrals to relevant authorities such as the LADO or police. For further information about this, please view the School’s Safeguarding Policy. If you have any specific queries about how our retention policy is applied, or wish to request that personal data that you no longer believe to be relevant is considered for erasure, please contact the Bursar at bursar@st-marys.bucks.sch.uk. However, please bear in mind that the School will often have lawful and necessary reasons to hold on to some personal data even following such request. The School will endeavour to respond to any such written requests as soon as is reasonably practicable and in any event within statutory time-limits, which is one month in the case of requests for access to information. The School will be better able to respond quickly to smaller, targeted requests for information. If the request for information is manifestly excessive or similar to previous requests, the School may ask you to reconsider, or require a proportionate fee but only where Data Protection Law allows it. You should be aware that the right of access is limited to your own personal data, and certain data is exempt from the right of access. This will include information which identifies other individuals, or information which is subject to legal privilege (for example legal advice given to or sought by the School, or documents prepared in connection with a legal action). 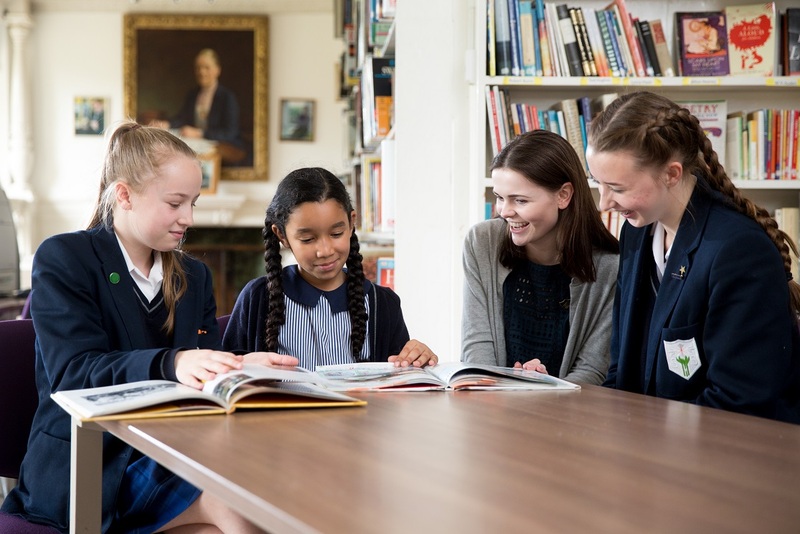 Pupils can make subject access requests for their own personal data, provided that, in the reasonable opinion of the School, they have sufficient maturity to understand the request they are making. A pupil of any age may ask a parent or other representative to make a subject access request on her behalf. However, where a pupil seeks to raise concerns confidentially with a member of staff and expressly withholds their agreement to their personal data being disclosed to their parents, the School may be under an obligation to maintain confidentiality unless, in the School’s opinion, there is a good reason to do otherwise; for example, where the School believes disclosure will be in the best interests of the pupil or other pupils, or if required by law. Pupils are required to respect the personal data and privacy of others, and to comply with the School’s IT policies, including its Acceptable Use policies, eSafety policy, Bring Your Own Device (BYOD) policy and the School rules. Staff are under professional duties to do the same covered under the relevant staff policies. An individual has the right to request that any out-of-date, irrelevant or inaccurate data or information about them is erased or corrected (subject to certain exemptions and limitations under Data Protection Law): please see above for details of why the School may need to process your data, and who you may contact if you disagree. Any comments or queries on this policy should be directed to the Bursar at bursar@st-marys.bucks.sch.uk. If an individual believes that the School has not complied with this policy or acted otherwise than in accordance with Data Protection Law, they should utilise the School’s complaints (or grievance) procedure and should also notify the Bursar. You can also make a referral to or lodge a complaint with the Information Commissioner’s Office (ICO), although the ICO recommends that steps are taken to resolve the matter with the School before involving the regulator.